Spring is blooming marvellous in the Cape – From Namaqualand to the Karoo, the succulents and Cape Fynbos transform the veld and mountains after the winter rains. 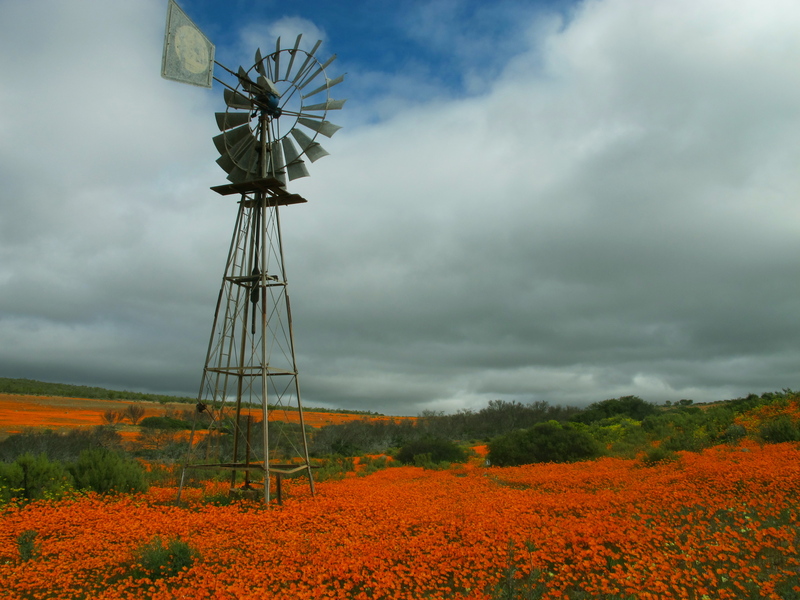 The flowers start blooming earlier on the West Coast near Springbok – July/August is usually the best viewing time, whereas closer to Cape Town near the West Coast National Park, the flowers peak August/September. In the Karoo, the flowers bloom September/October. Most flowers only open properly once the temperature rises to more than 15°C. They are at their best between 12:00 and 15:00. Make sure the sun is behind you when viewing the flowers, as they orientate towards the sun. If you can’t get to a park, gardens such as Kirstenbosch National Botancial Garden, The Karoo Desert National Botanical Garden, Harold Porter National Botanical Garden and The Clanwilliam Flower Show offer great flower experiences. Places to stay: Try Waterfall Farm in the Cederberg or the cottages at Churchhaven in the West Coast Reserve or if you want a hotel, then Bushman’s Kloof and Papkuilsfontein are good choices. Venture into the Karoo to the Kliphuis. The national parks have accommodation in the flower reserves – go to www.sanparks.org.za or www.capenature.co.za for more information.